The hows and whys of CPR are based on data, curated from a broad spectrum of first responders, hospitals, ERs, Urgent cares, etc. As you can imagine, the data shows that effective infant and child CPR looks a bit different from CPR required for an adult. 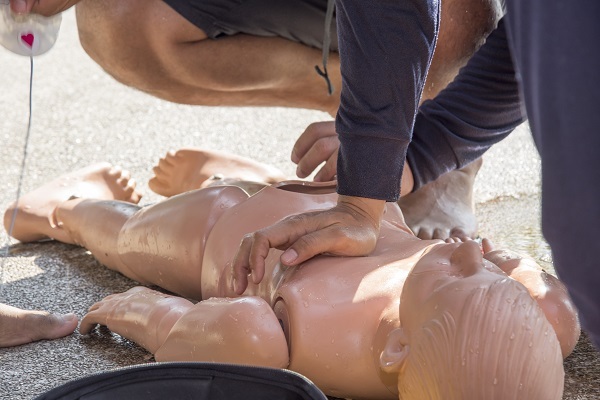 Smaller bodies, more constricted airways, and delicate ribs and chests mean significant changes in how a rescuer or first responder should perform rescue breathing, CPR, and relief from choking. For this reason, the American Heart Association and global healthcare authorities recommend that all soon-to-be parents, parents, siblings, childcare providers, and neighborhood babysitters become certified in Infant CPR. Ideally, infant CPR should be performed by a person certified in infant CPR. However, the above resources provide accurate information in a short, clear format to assist you until the EMTs or first-responders arrive on the scene. Infants, toddlers, and children are particularly prone to choking and/or other medical emergencies because of the fearless way they interact with the world – along with their smaller windpipes and more fragile bodies. By taking a CPR course, including infant and child CPR – and renewing it every two years – you’ll be equipped with the information, techniques, and skills to save an infant or toddlers life, whether it be your own or someone else’s. 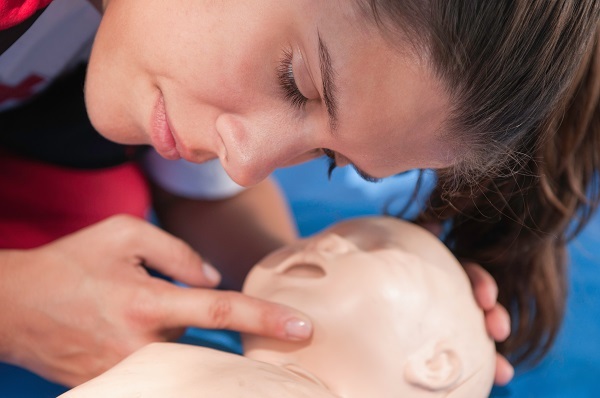 CPR Consultants offers a variety of courses focused on infant, toddler, and child CPR – including information on how to use an AED and first aid if desired. All of our courses are instructor-led, including the use of videos, printed materials, class discussion, and hands-on practice to reinforce what you’ve learned. Upon completing the instruction portion of the course, students are tested in a very low-pressure environment. After receiving a passing score, you’ll receive a CPR Certification Card that is valid for 2-years. The AHA recommends renewing your certification every two-years to ensure your information and techniques are fresh and in alignment with the AHA’s most recent, data- and research-based guidelines. This is the most comprehensive course available for non-medical professionals – and it’s also the most popular one. If you’re planning to give up a few hours of your time to become CPR certified, it makes sense to take the most detailed versions available, which will put you in a prime position to help anyone who finds themselves in distress, regardless of age. How to manage medical emergencies until emergency medical personnel can take over. Basic first aid, including how to handle chocking in adults, children, and infants (Did you know the standard Heimlich Maneuver should only be performed on children 1-year old or older? Infant chocking is handled much differently). What to do in the case of cardiac arrest in adults, children, and infants. How to perform CPR – including chest compressions and rescue breathing – as a solo responder and as a team. How to use an AED if one is accessible. The Heartsaver CPR AED for Adults, Children, and Infants provides the CPR and AED components without the section on basic first aid techniques. As a result, it is shorter and may fit better into your immediate schedule until you have time to take a course that includes valuable first aid information. Who Should Be Certified in Infant First Aid and CPR? The fact is that permanent brain damage can begin in as little as 4-minutes after the brain is deprived of oxygen. Four minutes goes by pretty fast when you’re in the midst of a medical emergency, especially if immediate bystanders go into shock and are unable to respond in the immediate moments after a child stops breathing. The more people who have CPR certification for infants and children, the more valuable lives will be saved each year. Anyone who spends time around or caring for children should be certified in Infant First Aid and CPR. This includes soon-to-be parents, parents who’ve never been CPR certified or have let their certifications lapse, siblings, and anyone else who provides care to children, such as babysitters, daycare providers, and grandparents. We highly recommend that parents or guardians require all care providers – be they professional daycare providers, private, in-home daycare providers, or the favorite teenage babysitter – provide proof of a current CPR certification that includes infant and child-based instruction. It may be worth paying for your caregivers to become certified if they aren’t already. As you review the above list, you can see why we recommend parents and child caregivers take CPR courses that are paired with First Aid certification – since the two often go hand-in-hand during a medical emergency. Failure to know what to do in terms of first aid could compromise the quality of the CPR you provide. Don’t wait until you’re in a position to wish you had taken an infant CPR course – take action now. Contact CPR Consultants today or visit us online to review a schedule (by date or location) of our affordable and effective CPR and First Aid certification courses. We have locations in both the Richmond, VA and Raleigh, NC areas and our instructors are always happy to come to you if needed. It might be the most life-changing decision you’ll ever make.